Use the quick order form at the bottom of this page to order additional Stickers. 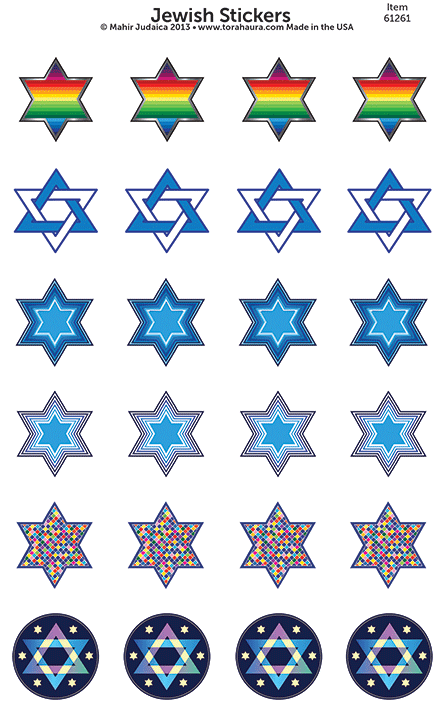 Each sheet of Passover Stickers has six different designs and four of each design on the sheet for a total of twenty four stickers. The Sheet is 5 1/2 x 8 1/2 inches and the stickers are approximately 1 inch square. 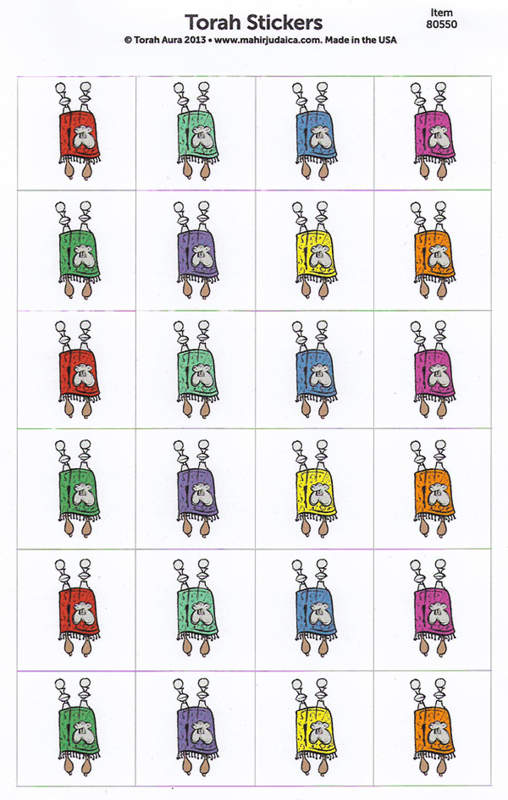 Enter the number of sticker sheets you want for each item and then use the add to cart button.